pls. 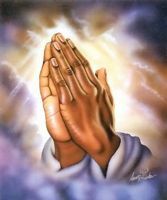 pray that a miracle happens right now that all my debts and poverty be removed and let prosperity meet me at all places and let me get a good job. I am in terrible conditions and all the gold of my wife is mortgaged and pray that i will be able to release all my wife's gold.